One for all, and all for one. Out of the Fab Five, Zhao Ye is definitely the most neglected character. Maybe that’s due to the fact that he’s kind of the comic relief and goofball of the group, but it’s about time that he got his own story. This episode is definitely the Zhao Ye Show, and we get to delve a lot deeper into his family life and his relationships with his friends. Hey, he even gets his own voiceover! Things are looking up for you, dude. 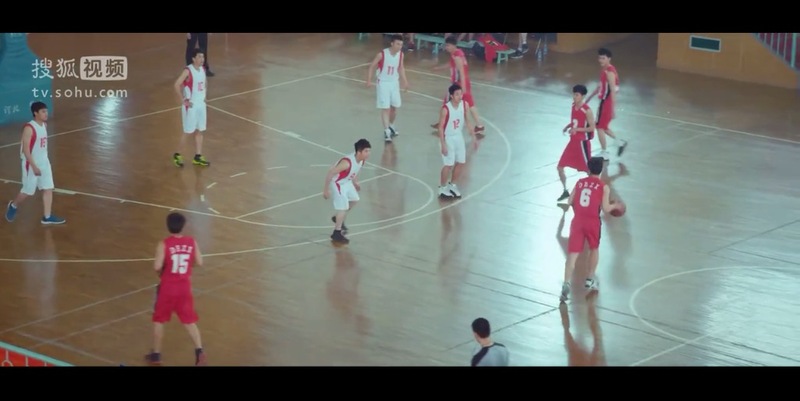 Zhao Ye is still sulking from finding out that Jia Mo has a crush on Su Kai, and he’s showing that on the basketball court. After practice, Su Kai calls out Zhao Ye on his lackluster efforts and makes him run 80 laps around the gym to make up for it. Way harsh. Conveniently enough, Jia Mo witnesses all of this and knows that Zhao Ye’s bad mood is because of her. He later ignores the rest of the group during lunch and eats by himself. Poor guy is bumming out pretty hard. Get your head into the game. After basketball practice, Zhao Ye heads over to the shoe store to look at sneakers since his are getting really worn down. But then he sees the price and couldn’t drop ’em fast enough. He asks his dad over dinner if he can get him a new pair for the upcoming competition, but his dad just says that they’ll talk about it later. He later overhears his parents talking, and hears that his dad has been laid off by his company. Fang Hui asks Zhao Ye if he has the money for the class fees, but he obviously doesn’t have it. When she asks him when he’ll be able to give it to her, he gets annoyed and tells her to calm down already. Chen Xun overhears him being rude to Fang Hui and tells him to not vent his anger out on them. Zhao Ye gets all defensive about it, and Chen Xun blurts out that it’s no wonder that Jia Mo doesn’t like him. What a low blow. A fight between the two of them is about to break out, and there’s quite a bit of manly pushing until Jia Mo yells at them to stop. The rival basketball team from the other school crashes basketball practice, and mad smack talking ensues. Zhao Ye is apparently in a mood because he tries to pick a fight with the other guy, but Su Kai holds him back. And just like that, the group of guys leave. They came all this to say about three lines of smack talk to Su Kai and his team. Zhao Ye asks Su Kai why he held him back and if he’s really that scared of them, but he just gets ignored. Su Kai goes to find Chen Xun, and asks him if he’s willing to help out the team. He tells him that the competition is coming up soon, and they’re still missing someone in the power forward position. Chen Xun immediately rejects him, and Su Kai just interprets that as him being scared. Su Kai asks him if he’s still angry about the “incident,” which turns out to be Su Kai getting chosen to be the team leader instead of him. So petty. Chen Xun argues that he’s got more skills than him, so it makes no sense that they’d pick him. Su Kai explains that Chen Xun is all about the personal performance and doesn’t care about teamwork. Yeah, that sounds about right. Chen Xun tells him that if he’s such an able leader, then he can go win that competition on his own. No room for superstar egos. After losing a match to their rival school, Su Kai yells at Zhao Ye for his performance. This doesn’t sit well with Zhao Ye because he blames Su Kai for making him run extra laps after practice, and therefore making him too tired to play. More arguing happens, and Zhao Ye ends up quitting the team. But what about the competition?! They need you, Zhao Ye! Zhao Ye continues his silent treatment with the rest of the group, and still refuses to eat lunch with them. Jia Mo is feeling particularly bad about this because she thinks that the Fab Five can’t go back to how they were before. Fang Hui tells her not to be silly, but Jia Mo is convinced that it’s her fault because she told Zhao Ye that she likes Su Kai. Chen Xun tells her that she’s free to like whomever she wants, and its Zhao Ye’s own problem if he can’t accept that. Jia Mo tells them that she feels like strangers with him nowadays. Qiao Ran is back at school after being away for an academic competition for the past couple of days. He goes to find Zhao Ye, and after a bit of small talk about the bball competition, Qiao Ran reminds him to not forget about his friends. Zhao Ye is surprised that Qiao Ran already found out what happened, but he tells him that Chen Xun, Fang Hui, and especially Jia Mo all took turns calling/paging him. He tells Zhao Ye that Jia Mo said that if there’s anything he needs help, don’t try to do it all himself because he still has them. Awww, biffles! Listen to the wise Qiao Ran. Zhao Ye finds Su Kai in the gym, they hash things out and he’s back on the team! Everyone is practicing really hard for the competition, and Zhao Ye, in particular, is practicing overtime. Su Kai gives them all a pep talk, and says that despite losing to their rivals last year, this year’s going to be different. Go, team, go! Jia Mo and Zhao Ye cross paths on the stairwell, but Jia Mo walks right past him without a second glance. Zhao Ye calls out to her, and she immediately snatches the basketball out of his hands. She asks him if he’s finally willing to speak to her. After some light teasing back and forth, Zhao Ye admits that he has been acting ridiculous. Yay, friends again. 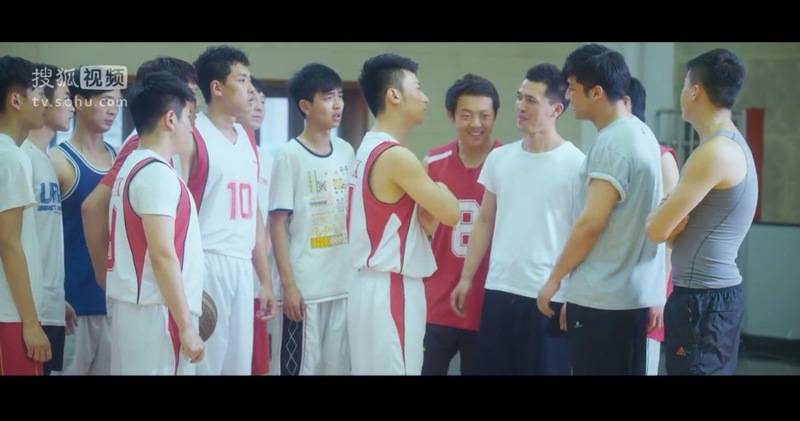 Jia Mo tries to convince Chen Xun to join the basketball team to help them win the competition, but he’s standing firm on his decision. He tells her that she doesn’t know what happened, so she should stay out of it. Jia Mo agrees that she doesn’t know, but she also doesn’t wanna know. Su Kai already put his name on the roster, meaning that he trusts him. She asks him if he can’t trust him for once too. Once Jia Mo leaves the room, Chen Xun just crumples up the paper with the roster list and throws it onto the floor. So. Petty. Get over yourself, Chen Xun. Jia Mo finds Su Kai sitting on a bench by himself, and asks if he’s nervous about the competition. His mind is elsewhere though because his girlfriend moved abroad for college today, meaning that they’re pretty much broken up. Seeing how sad Su Kai is, Jia Mo confesses to him that she has had a crush on him all the time. Girl, you do not wanna be a rebound! He tells her that he’s sorry, but he wants to wait for his girlfriend to come back, no matter how long it takes. He continues that Jia Mo is one of the nicest girls he has ever met, but he only considers her as a sister. Ouch. On the day of the competition, the group goes to find Zhao Ye to give him a present: a new pair of sneakers! They all chipped in money to get it for him. Zhao Ye is so touched that he’s on the verge of tears, and he promises them that he’ll win this competition. The game is pretty close the entire time, and the teams are just trading baskets for the most part. That is, until the other team takes a hard foul at Zhao Ye and he injures his arm. He insists on going out and finishing the game, but he is definitely in no condition to play. Seeing the pain that Zhao Ye is going through, Chen Xun volunteers to go in his place. The game continues, and it remains a close one. With the clock ticking down to the last 10 seconds, Chen Xun has the ball. He is getting swarmed by defenders, and he throws the ball out to Su Kai for a 3-pointer instead of trying to make a basket on his own. The ball rattles around the rim for a bit, but finally goes in the basket and Su Kai’s team wins! 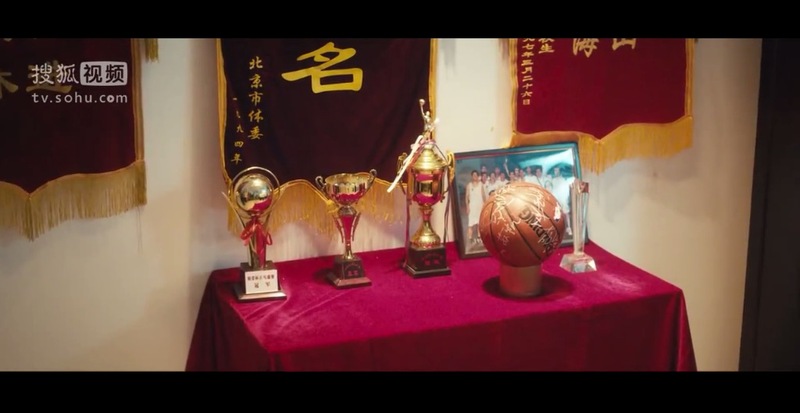 Zhao Ye’s voiceover says that the basketball court is where his bros are, and winning and losing becomes an afterthought. He once thought that the court would last forever, but he would later wonder where all those bros went and where they are now. Still, the experiences they shared on the court together as bros would remain unforgettable. Jia Mo and Su Kai are having dinner together, and when it comes time to pay the bill, Jia Mo insists on paying. 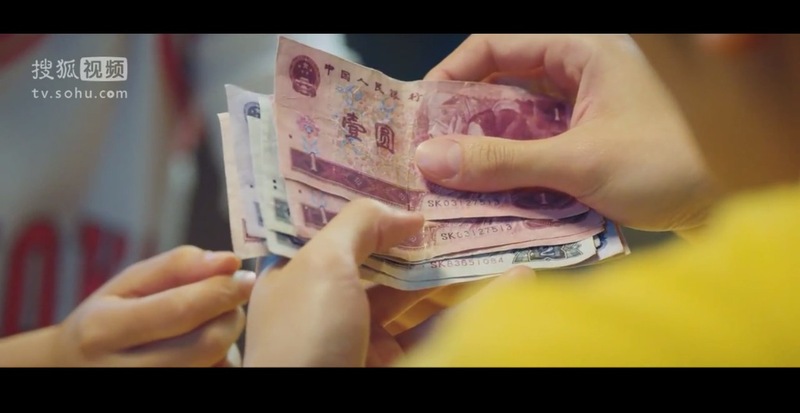 She takes out the bills that she had previously collected because they had “SK” in the serial number. Not sure if she’s sober or drunk, but she tells him that from this day forward, she’s not going to like him anymore. She’s not going to follow him around anymore and he doesn’t need to hide from her. She just wishes that they won’t hate or forget each other. Should have bought some shoes. The Fab Five is in their 3rd year of high school now, and they’re going to have to spend the year preparing for college. Their new teachers tells them that all they should focus on this year is their studies, and there is absolutely no way that any of them can waste time on romantic relationships and dating. If she finds out that there is any of that going on in her class, they will be immediately kicked out. So, what’s the plan gunna be, Fang Hui and Chen Xun? After his almost fight with Zhao Ye, Fang Hui tells Chen Xun that he was being too hurtful when he said that part about Jia Mo not liking him. Chen Xun says that he was being mean to her, and he’s going to protect her no matter what. Zhao Ye’s dad tries to give him the money he earned from working a street food cart for the new sneakers, but Zhao Ye refused it. He reassures his dad that everything will be okay, and he’s confident that he’ll make it into a sports school with his skills. Post her Su Kai rejection, Jia Mo reassures Fang Hui that she’s going to be fine. She got over him pretty fast! Jia Mo & Qiao Ran are kinda really cute together.